i really shouldn't call this the "rapid fat loss diet" anymore. i switched things up a little. well, i didn't switch things up...LT did! but i trust him. we're pretty much doing a straight cyclical ketogenic diet (ckd). 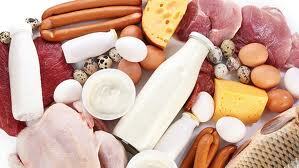 the big difference is that the daily intake is a ratio of 50% protein and 50% fat monday through friday. that means meat, cheese, and cream. instead of a 5 hour carb load, we're doing a 24 hour carb load starting saturday morning with little to no fat. all carbs being whole wheat/multi-grain foods. we figure if the carbs are brown maybe they're a little better for you. wishful thinking? maybe. 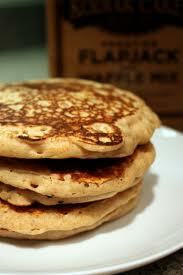 eating multi-grain pancakes, whole wheat linguini, and steel cut oats was pretty thrilling. i can't tell you how long it's been since i've had any of that goodness. and, boy was it good! the funny thing is it really wasn't that tasty. if i really think about it, it was pretty boring. so, why do i want more? and why can't i wait til saturday morning? believe me, it's not chore to take down all those carbs. but, it seems so counterproductive, right? last saturday was my first 24 carb load. LT did the calculations. i had to eat 580 grams of carbs and 130 grams of protein over 5 meals within 24 hours. that's about 116 grams of carbs and 26 grams of protein per meal. in any case, i was back to the straight meat, fat, and veggies on monday. it's tons easier to eat lean than it is to eat fatty. now, it really takes some creativity to whip up dinner these days. and i've got to calculate everything that goes into my mouth. i'm convinced that i'm going to gain 15 pounds at the end of this. so, i'm following it to a tee. that way, when the time comes, i can say, "i told you so". 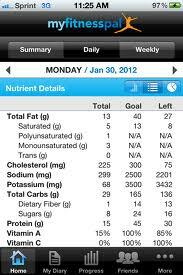 calculating the protein/fat ratios was tricky until a friend told me about the myfitnesspal app. it's pretty awesome...easy to keep track of calories, carbs, fat, and protein. the best part...it has a bar code feature. when you want to add something just hit the bar code button and aim your camera phone at the product's bar code and voila! all you have to do is input your serving size. and, of course it doesn't work for everything. but, you can find the best match by searching the database! my workout has changed a bit. i'm now doing 15 reps of a max weight. i'll have to see what happens. this really isn't the right time to be testing a diet. i'm totally leaving for an amazing beach vacation in 16 days. this better work or i'm gonna kick LT in the balls! thanks so much for the compliment! oh, and for reading! i'm always up for suggestions. let me know if there is anything like you'd like to read about.